Get your child in their very own toddler sized UTV Side X Side vehicle. There are no limits when your child has 4WD and rubber tires and Long-Travel Suspension for better traction control around small bumps in the yard. 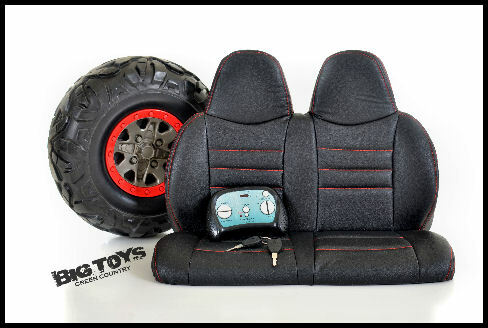 This UTV style Ride On also has a wide 20" seat with plush leather seat inserts for your little adventurer. 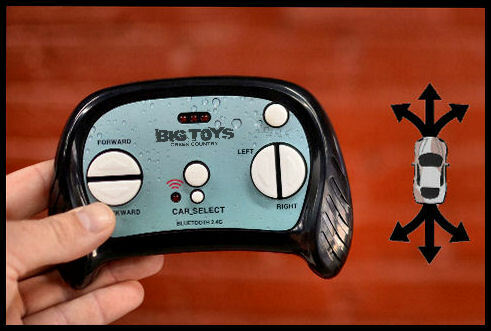 This kids size battery powered Side x Side also has an AUX/MP3 input so you can listen to music. So let them kick back in the nice leather seat, turn on all the cool lights, and enjoy the open trail. While you have the peace of mind that you hold the remote control in your hands to stop or divert your little ones from potential danger. This Rugged Ride On UTV toy has factory upgraded premium drive motors. We have the high end components factory installed, and all replacement parts in stock for our customers. Other cool features included are front and rear Long Travel suspension Exclusively form Big Toys Green Country for a softer ride. Big Horn Rubber tires for a great realistic look. Adaptive slow start so the vehicle takes off slowly, and gently accelerates up to speed to keep from jerking the child around. Due to the all wheel drive system, the Blade XR operates best on hard rock or hard dirt surfaces. shop today at www.bigtoysgreencountry.com Blade XR 2.0 4x4 Ride On UTV 4 wheel drive Side X Side with rubber tires and Dual Batteries Get your child in their very own toddler sized UTV Side X Side vehicle. There are no limits when your child has 4WD and rubber tires and Long-Travel Suspension for better traction control around small bumps in the yard. This UTV style Ride On also has a wide 20" seat with plush leather seat inserts for your little adventurer. This kids size battery powered Side x Side also has an AUX/MP3 input so you can listen to music. So let them kick back in the nice leather seat, turn on all the cool lights, and enjoy the open trail. While you have the peace of mind that you hold the remote control in your hands to stop or divert your little ones from potential danger. This Rugged Ride On UTV toy has factory upgraded premium drive motors. 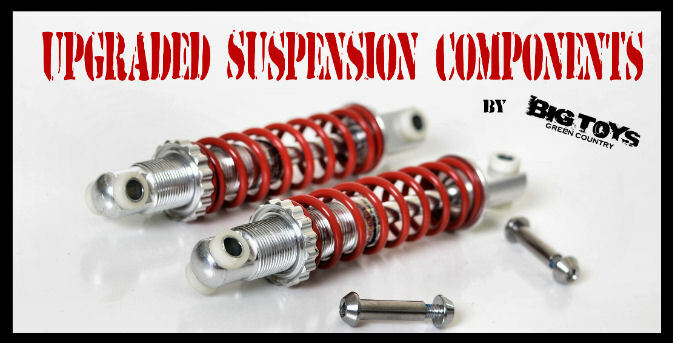 We have the high end components factory installed, and all replacement parts in stock for our customers. Our little boy just turned 2 and I could not be more impressed/satisfied with this! He LOVES it! At 2 he doesn’t have the steering down pat yet so being able to control it for him has really been a game changer for us. Goes extremely well on rough terrain. Our 4 year old daughter LOVES it too! The only thing I do not 100% love is it struggles taking off up hill. But all in all I am beyond pleased with it and will definitely be purchasing more for nieces and nephews. We have found this to be a great purchase!. Our 3 yr old Granddaughter absolutely loves it. The 4WD feature and with the rubber tires do very very well in grass and dirt. Pleasantly surprised! Since they live in the country, not a lot of concrete to drive on for the cheaper type electric cars with those plastic wheels and weaker batteries. Also love the extras....leather seat, radio, horn, lights, sound affects at turn on. Very much appreciate the remote control feature just for safety reasons you can turn it or shut it down yourself if they are driving toward danger. Plus helps the adults park it in the garage! ha. This unit is top-notch in my book! Wish I would have gotten for her much sooner! Got this for my 1 1/2 year old boy he loves it never wants to get out of it thanks for making such s awesome product!! Click the button below to add the Blade XR 4x4 UTV Ride On Side X Side RC w/ rubber tires -White to your wish list.